Searching for a reliable custom manufacturer? eMachineShop uses CNC machines and secondary finishing techniques to produce 2D and 3D parts out of numerous materials. For over a decade, we’ve served the varied needs of large companies, small businesses and hobbyists. We’ve even developed easy-to-use, FREE CAD software to make part design and ordering as streamlined as possible. 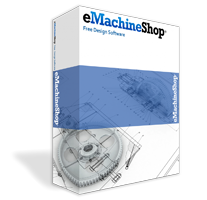 Use our free CAD or submit a file from your preferred CAD software for a quote. Don’t want to learn CAD? You can submit a dimensioned drawing, photo or written description. Whether you need a one-off test part, low-volume prototype order, or 100,000 custom pieces, eMachineShop is your source for custom parts! Want to see REAL customer projects and finished parts we’ve made? Check out our parts gallery to get inspired! Ready to Get a Quote for Your Parts?